This post reviews Robert Kunzman, “Education, Schooling, and Children’s Rights: the Complexity of Homeschooling” in Educational Theory 62, no. 1 (February 2012): 75-89. Kunzman, as readers of this blog know very well, is one of the leading scholars currently working on homeschooling. He is author of the important book Write These Laws on Your Children: Inside the World of Conservative Christian Homeschooling ; he’s written many articles on homeschooling; and he maintains a helpful site that catalogs homeschooling research here. A couple of years ago I reviewed an earlier piece by Kunzman on government regulation of homeschooling that dealt with some of the same themes he addresses here. Back then Kunzman argued against various kinds of government regulations, concluding that only tests evaluating a homeschooler’s grasp of basic literacy and numeracy should be mandated. Who’s in Charge of Kids? Parents? Kids? The State? Moran, a J. D. candidate at the University of Illinois College of Law and former homeschooler himself, here offers an ambitious, historically-grounded legal argument for the viability of limited goverment regulation of homeschooling. What Would Happen if Homeschooling was Abolished to Integrate Schools? This post reviews Consuelo Valenzuela Lickstein, “Race and Education at a Crossroads: How Parents Involved in Community Schools v. Seattle School District No. 1 and Wisconsin v. Yoder Shed Light on the Potential Conflict Between the Black Homeschooling Movement and K-12 Affirmative Action Programs” in The Journal of Gender, Race and Justice 13 (Spring 2010): 835-857. 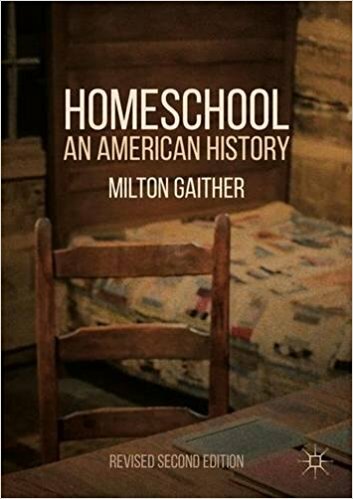 Lickstein, an associate at Choate Hall and Stewart LLP and recent graduate of University of Iowa College of Law, here presents an interesting thought experiment about homeschooling and diversity in public schools.